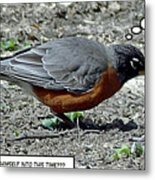 There are no comments for Early Bird. Click here to post the first comment. 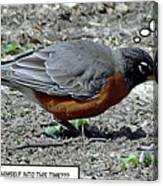 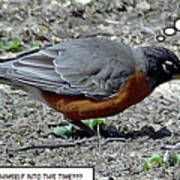 2D speech bubble image of a Robin pulling up a worm from the ground and a thought bubble from each creature revealing a quirky twist. Taken in Pasadena, Maryland.